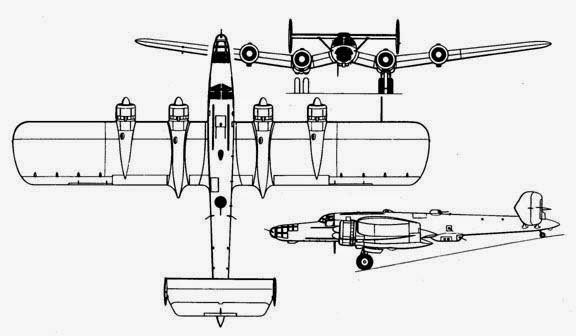 Soon after the start of World War II, it was proposed to convert all four prototype BV 142 to long-range maritime patrol aircraft. The BV 142 V2, thus underwent a trial modification. It was fitted with an extended nose section with extensive glazing (like the Heinkel He 111 H-6), defensive armament (7.92 mm/.312 in MG 15 machine gun in nose, twin-beam position, ventral cupola, and a powered dorsal turret), a compartment for ordnance in the fuselage, and navigation and military radio equipment. 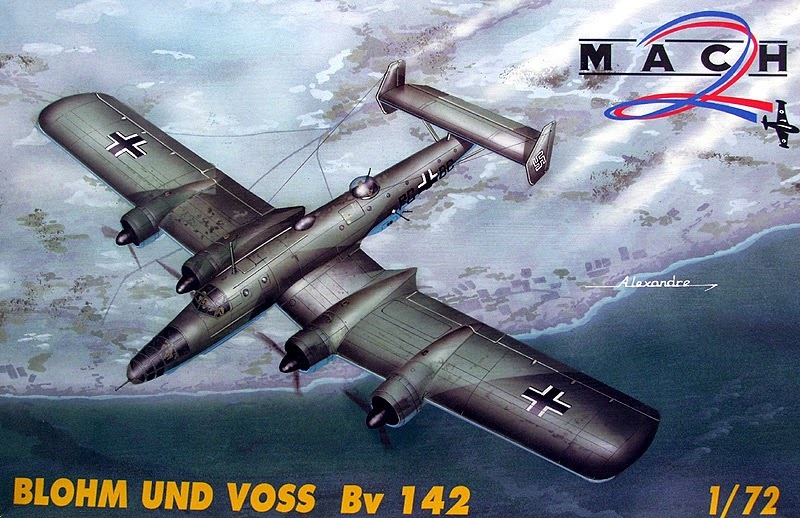 The BV 142 V2, was redesignated BV 142 V2/U1 while V1 was similarly converted. Both were used operationally from late 1940 and were posted to the Luftwaffe's second surveillance Group. This unit was assigned to the operations staff of Luftflotte III in France. However, their performance was disappointing, and after only a few missions, they were withdrawn from service in 1942. The two other aircraft (V3 and V4) were used as transport aircraft for the occupation of Denmark and in the Norway campaign with the KGr.z.b.V. 105 (Special combat team) and could transport 30 fully equipped soldiers over 4,000 km (2,490 mi). The ultimate fate of V3 and V4 is unknown. It was later planned to use V1 and V2 to carry the Henschel GT 1200C guided torpedo, but the plan was scrapped. The Blohm & Voss BV 142 was basically a slightly improved land version of the seaplane Blohm & Voss Ha 139. It was at first a civil development for transatlantic postal service, and was intended for the civilian commercial company Lufthansa. First flown in October 1938, the Bv 142 was completely metallic, and had a high horizontal stabilizer and double vertical tail, and low wing with a span of 29.53 m (96 ft 11 in). The fuselage was 20.45 m (67 ft 2 in) in length, 4.44 m (14 ft 6.5 in) in height, and had an approximately round cross section. The main landing gear was double-geared and fully retractable, as was the tail landing gear. The aircraft had a crew of five. It was powered by four 880-hp BMW 132H 9-cylinder radial piston engines, and had a maximum speed of 375 km/h (232 mph) and a range of 3,900 km (2,423 miles). Only four prototypes were built and tested by Lufthansa for use in the postal service. However, the outbreak of World War II prevented the further development of the civilian project. The existing types entered Luftwaffe service and were refurbished for sea-reconnaissance duty. The fuselage nose was extended and glazed, and five MG 15 machine guns were mounted in the nose, in the fuselage floor and on the fuselage upper surface. Four 100-kg bombs or eight 50-kg bombs could be carried. In 1940, the Bv 142s saw service in France, Denmark and Norway. However, performances were not satisfactory, and therefore the airplanes were withdrawn from active service by 1942. They returned to a transport role, with a capacity of thirty fully equipped soldiers over 4,000 km.